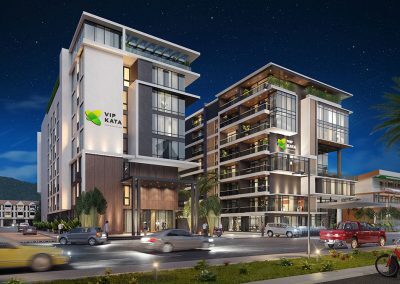 VIP KATA Condominium — Phase 2. 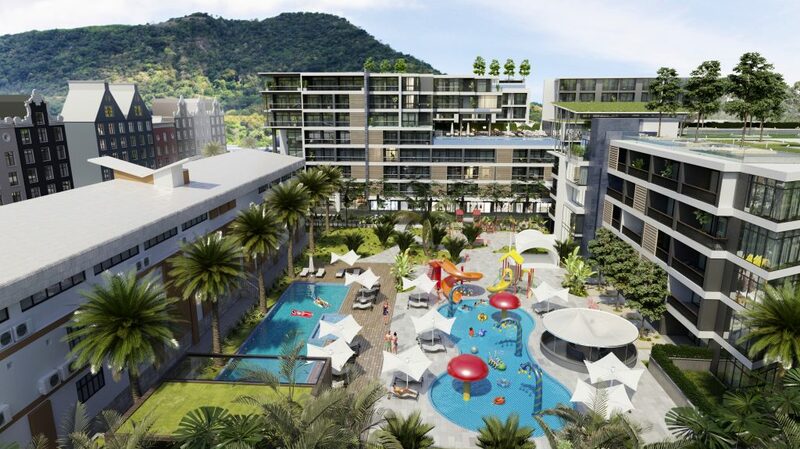 Condos for sale in Phuket. 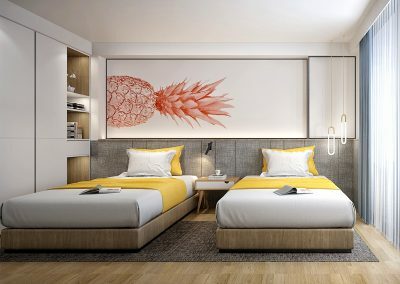 Phase 2 of VIP KATA Condominium got brand new look and interior design. 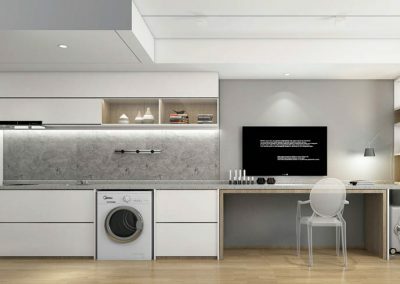 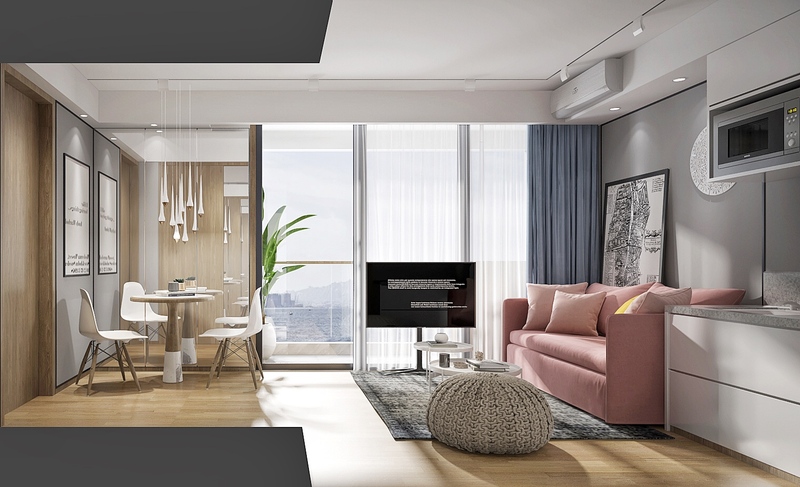 For the second phase of this project we have invited one of the top Chinese designer companies who rethought our units layouts and added fresh and modern look to the new buildings. 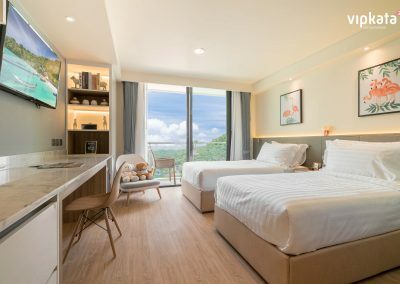 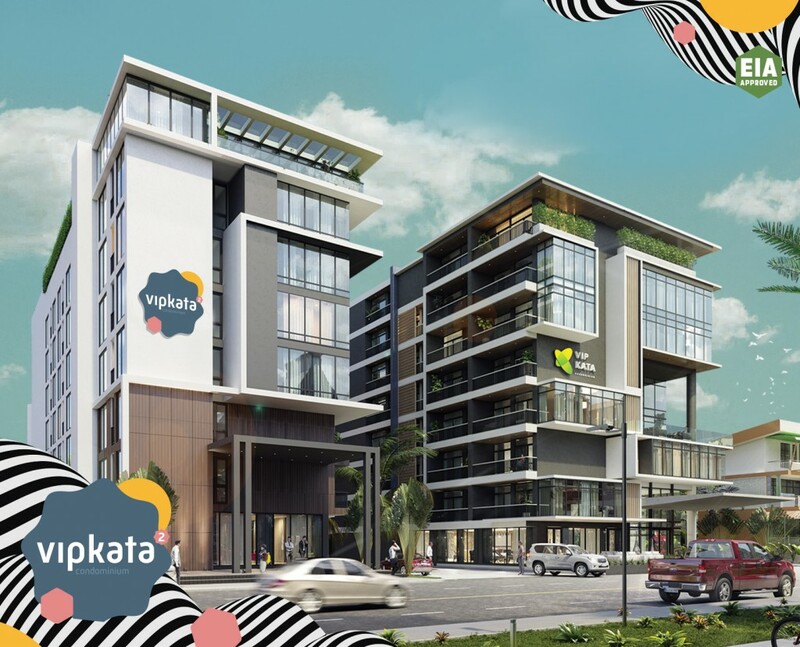 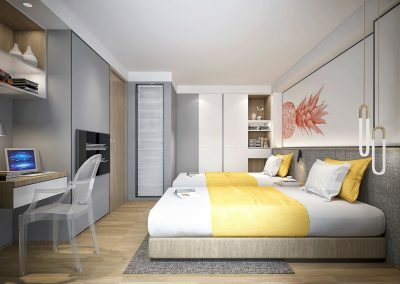 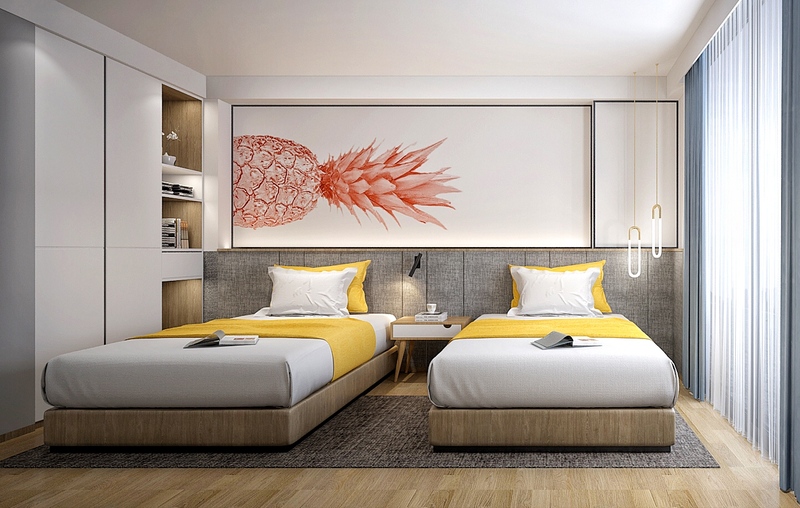 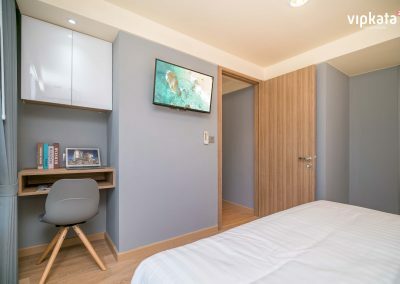 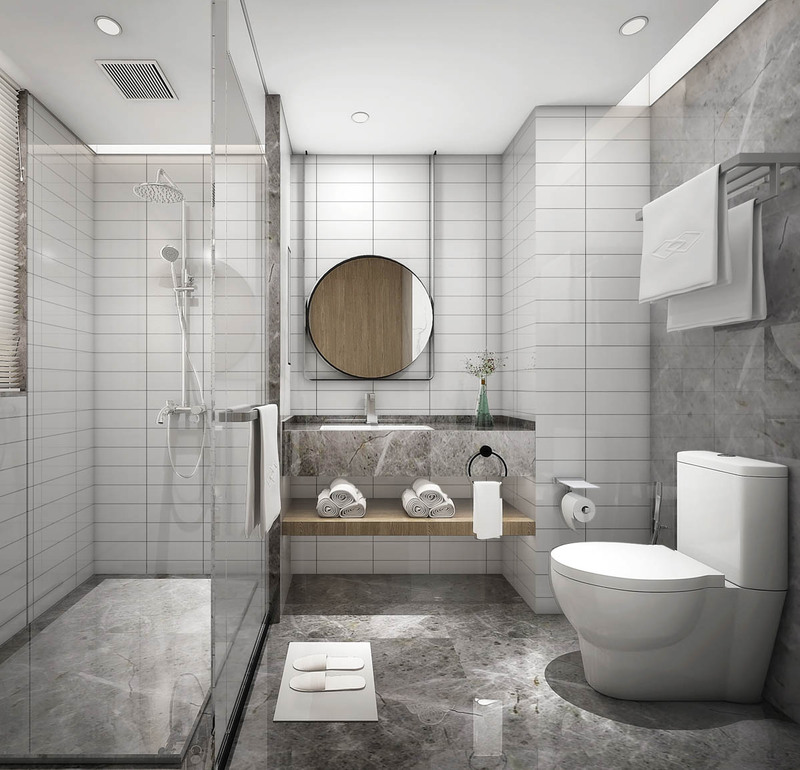 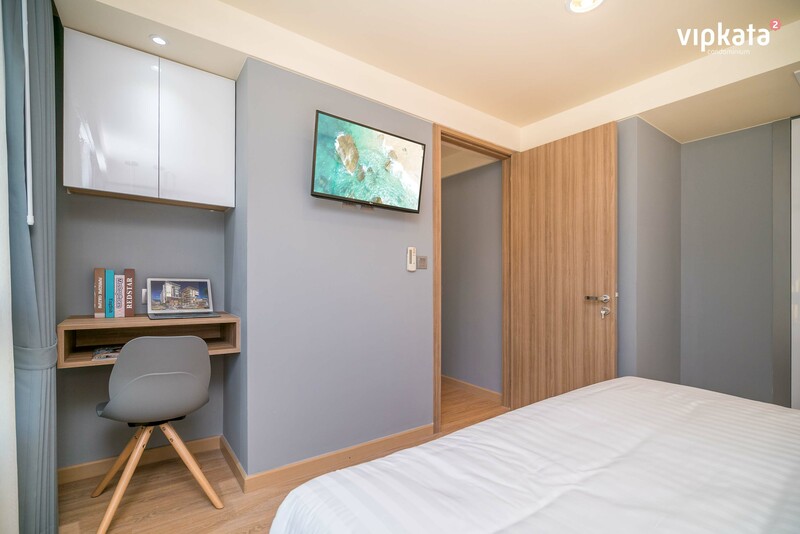 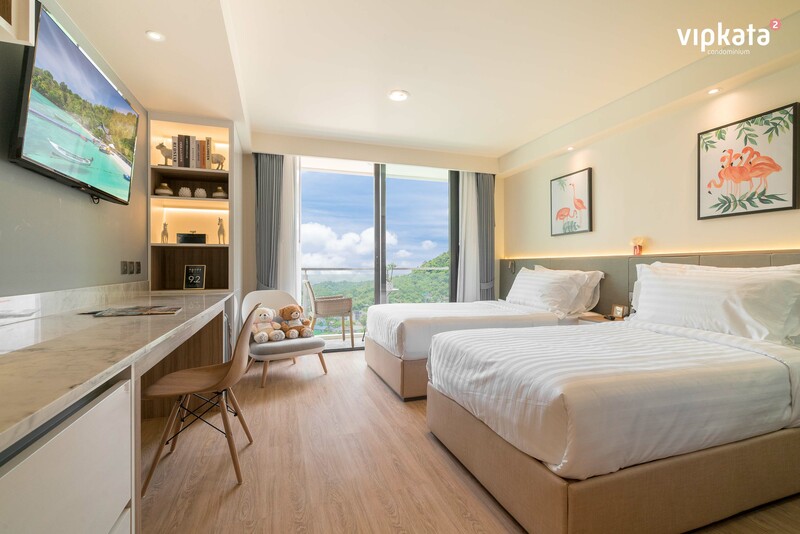 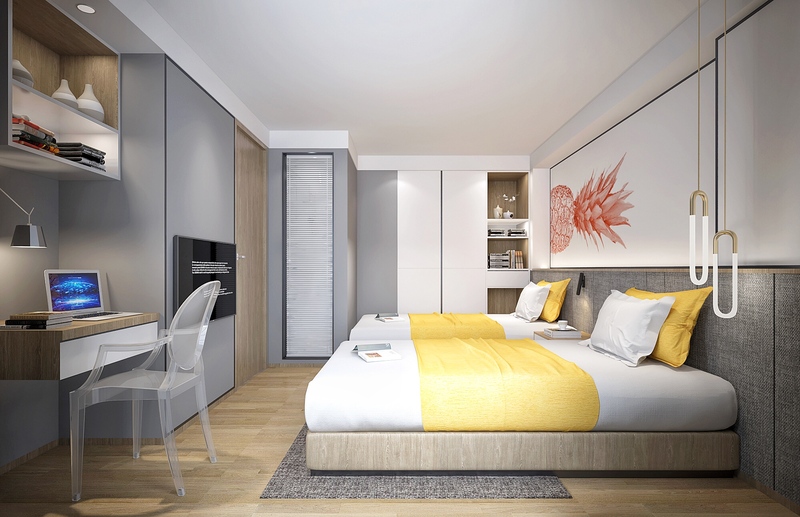 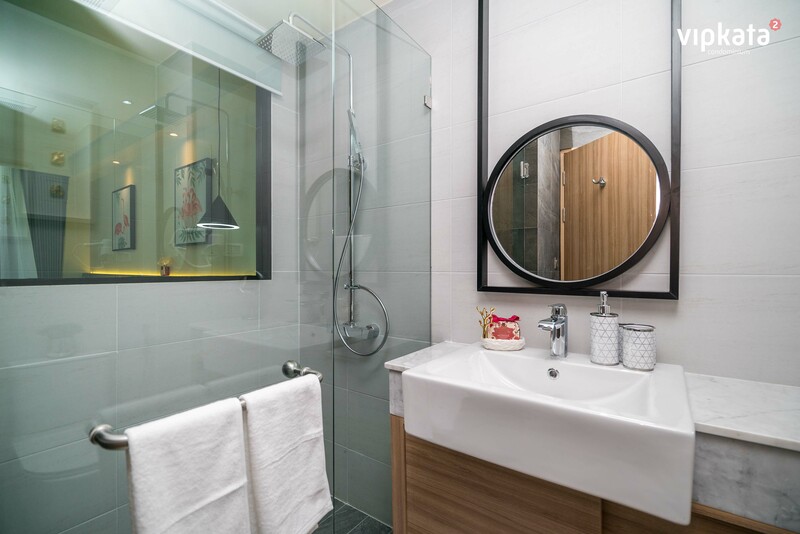 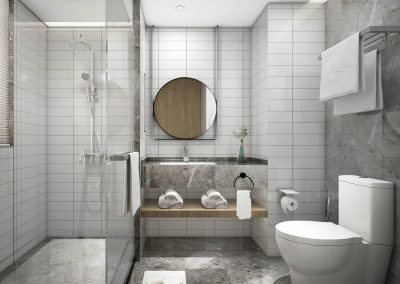 The first phase was completed and launched as a hotel under GRAND KATA VIP brand in August 2018. 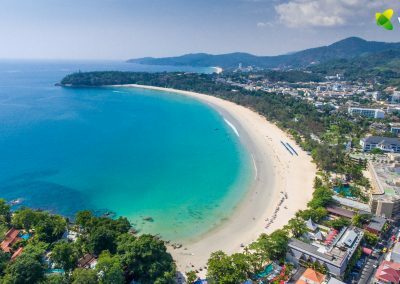 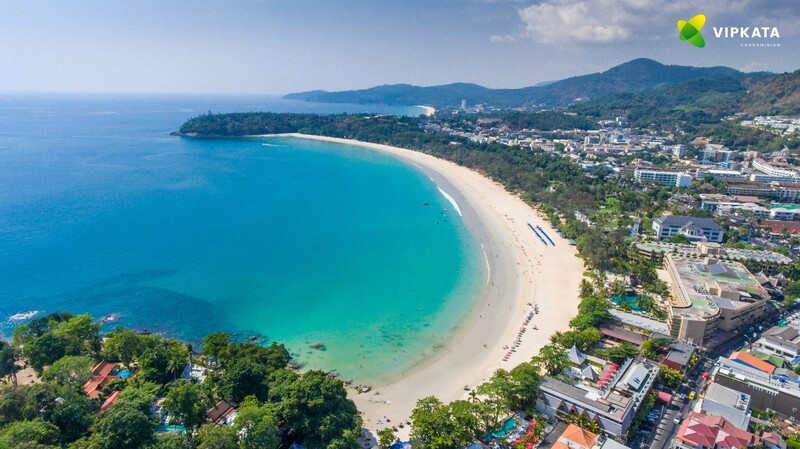 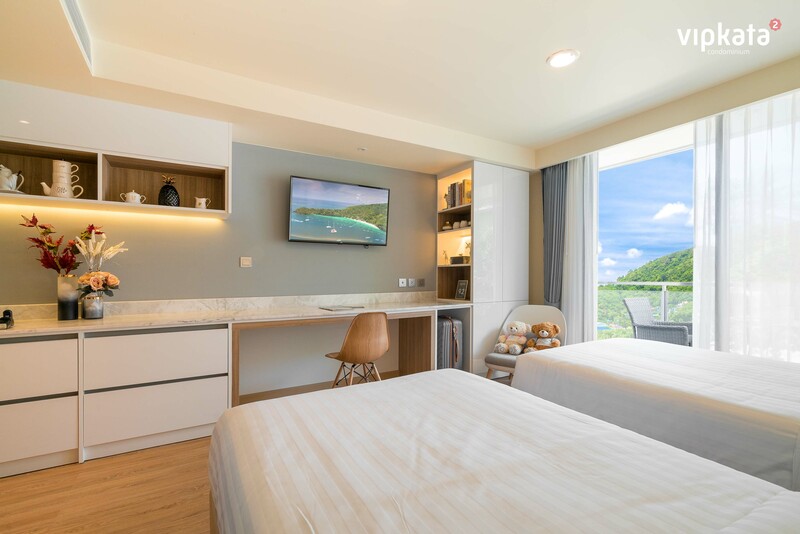 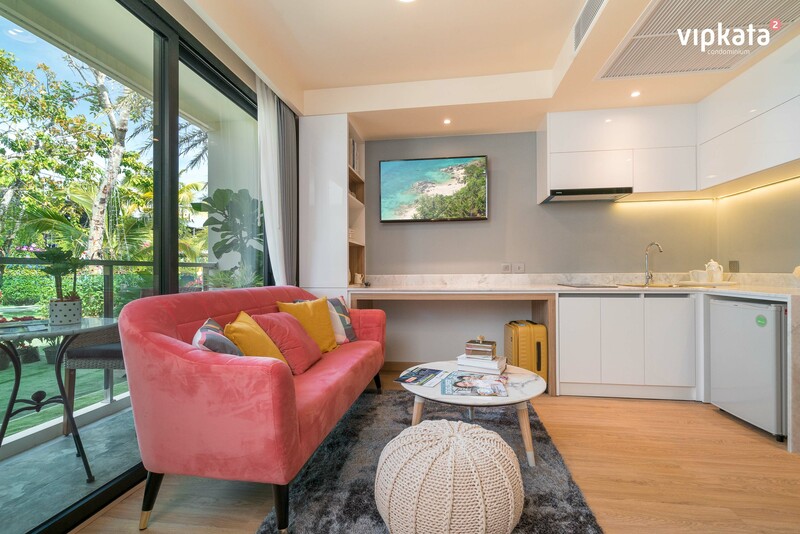 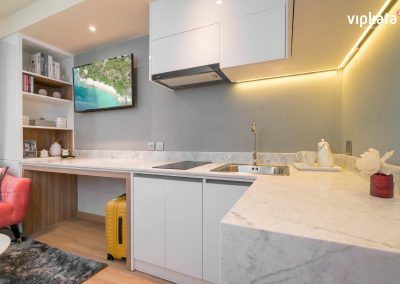 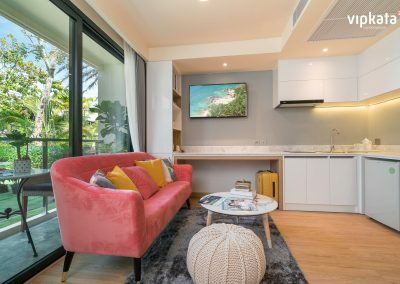 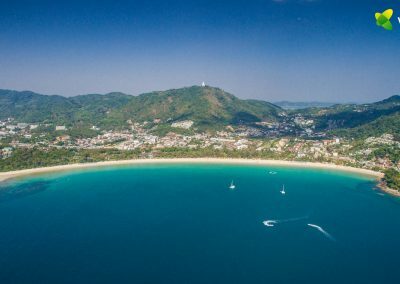 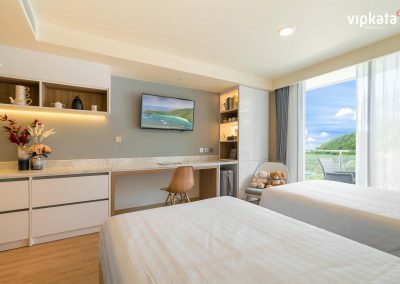 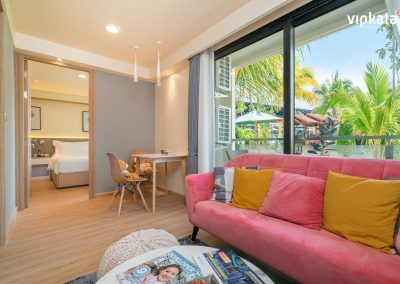 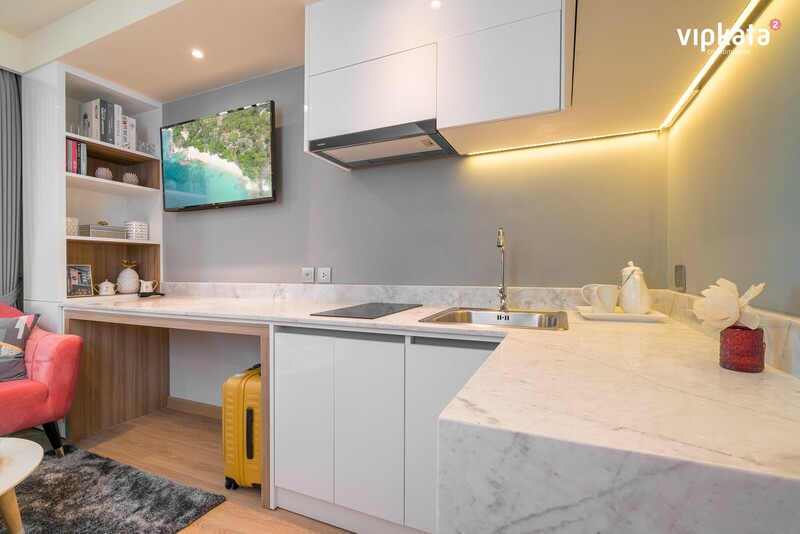 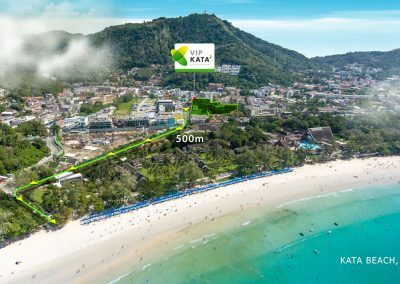 The location of new condominium buildings are 500 meters from Kata beach and surrounded by well-developed infrastructure. The new phase of VIP KATA Condo got 209 units from 30 to 60 sq.m. 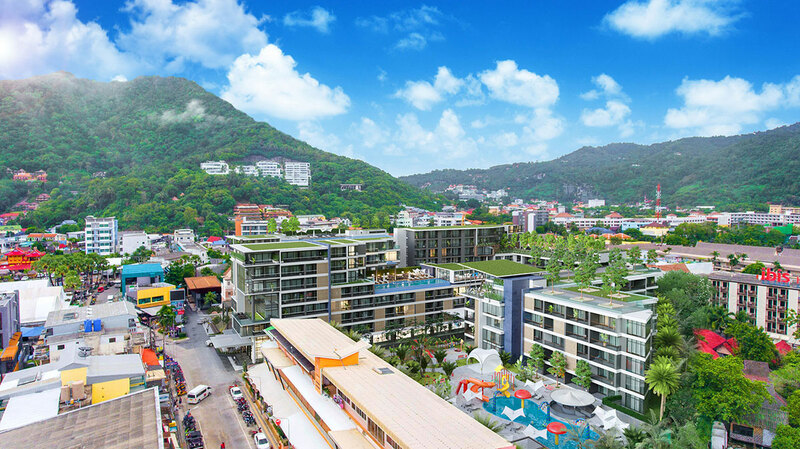 There are two swimming pools, restaurants on the roof with a mountain and sea-views. 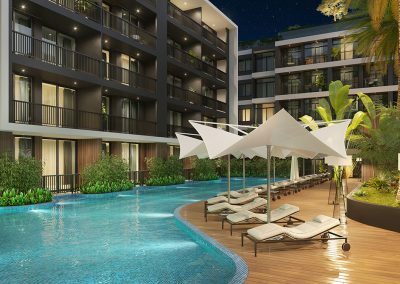 The completed project of VIP KATA Condominium will include total of 387 units in 4 buildings, 3 separate villas, kids park, 4 restaurants and spa. 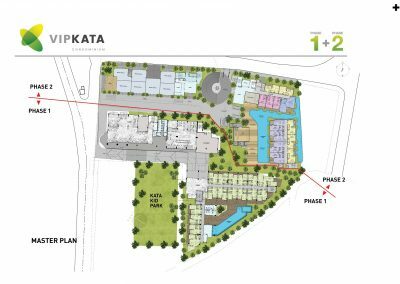 Development of second phase started in August 2018 and scheduled to be completed in June 2020. 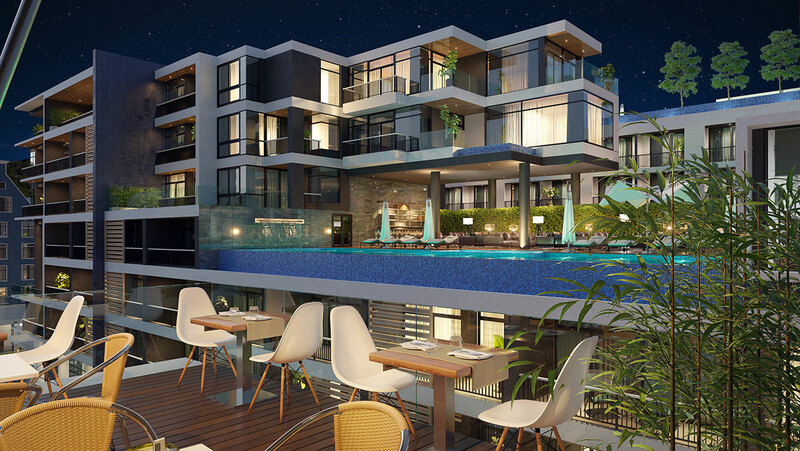 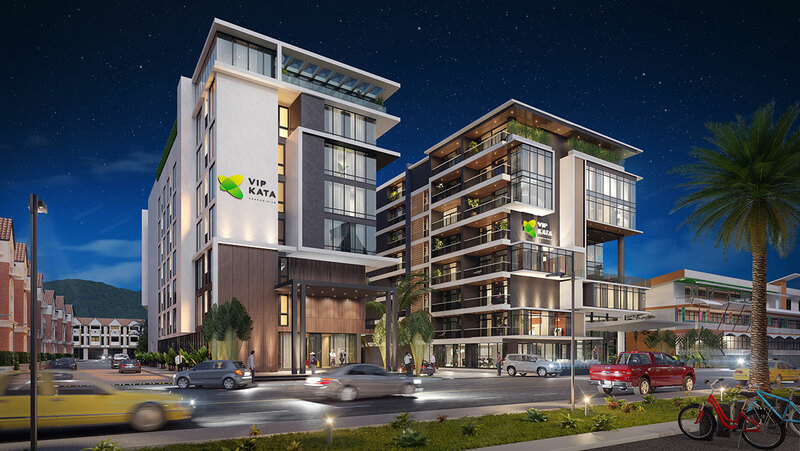 The new project of Phuket9 Company located on the wide road across from night markets. 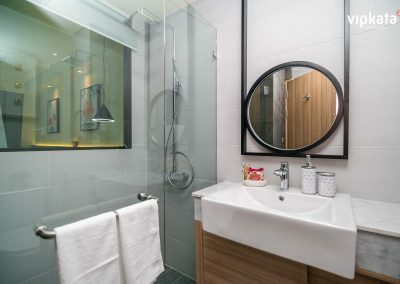 Near the condominiums there are walking areas, tourist shops, massage parlours, local market and shopping centers. 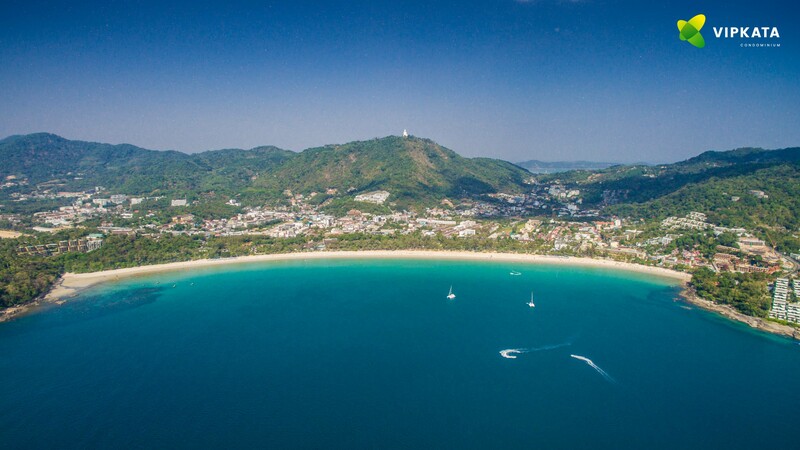 There are also a number of international restaurants with Thai, Italian, Japanese, Chinese, and Indian cuisine. 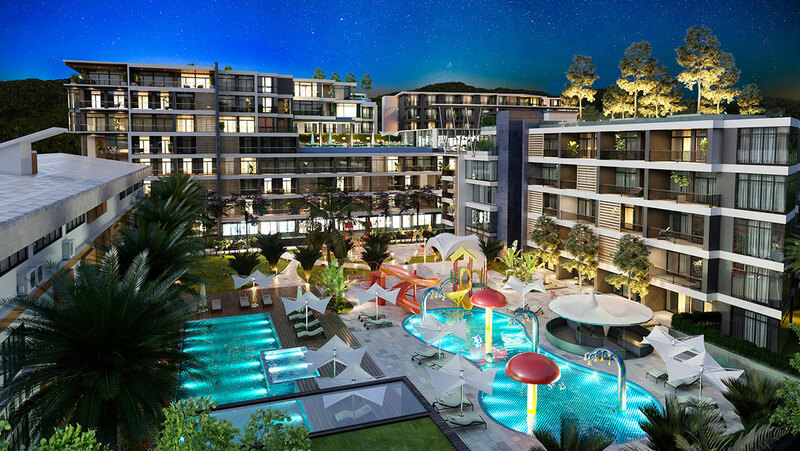 Nightclubs, music bars and restaurants can be found within 500 meters from the development. 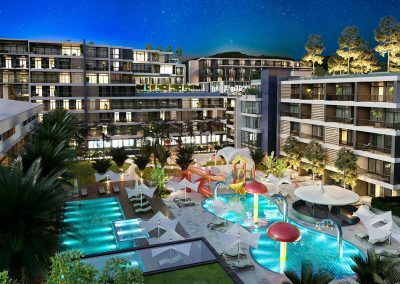 Completed and upcoming development of condominium will include 4 swimming pools, 2 of them are rooftop infinity pools, 2 bars with a view, 4 restaurants, 2 fintes clubs, spa complex, kids park, rooftop gardens and 4-star hotel management and service. 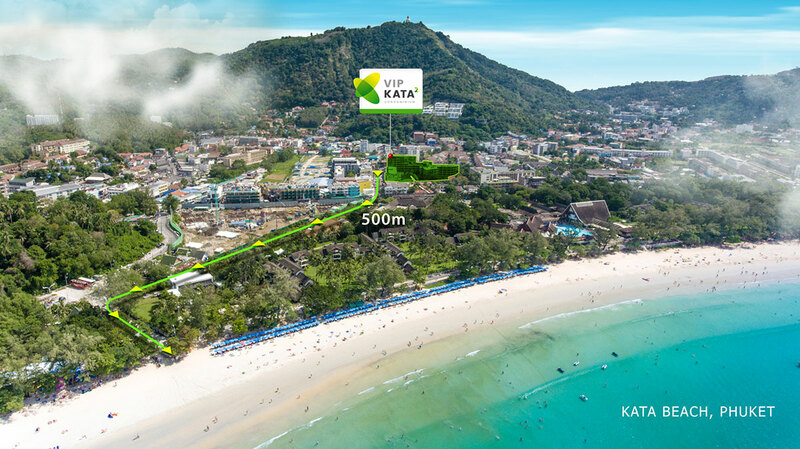 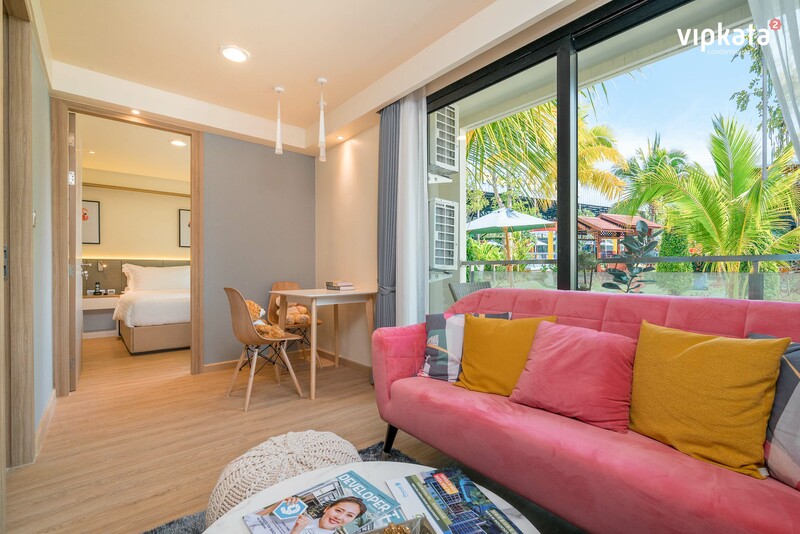 VIP KATA Condominium buildings located within 500 meters from Kata beach — the beautiful sandy 2km-long beach. 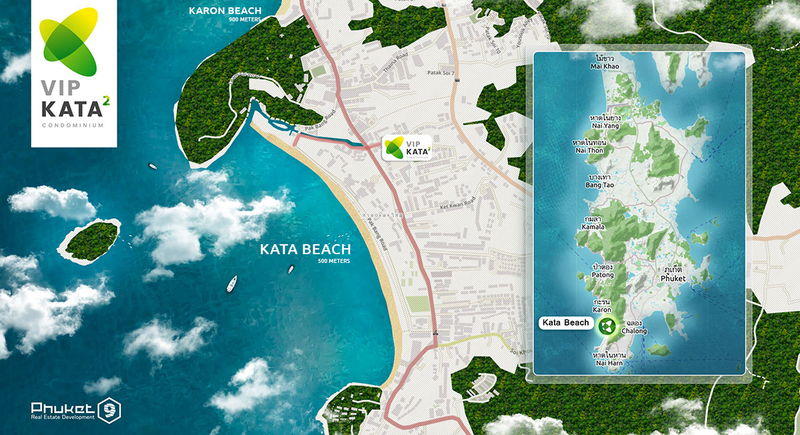 Another beach — Karon is only within 900 meters from the condo. 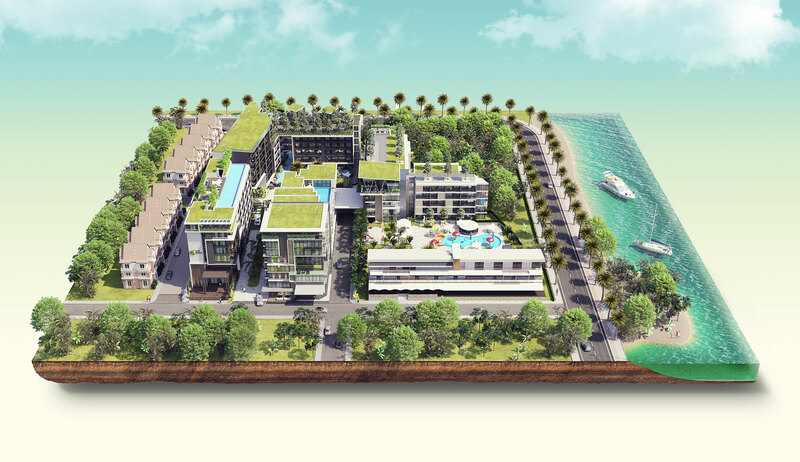 There are lots of tourist activities around, including surf club, mini-golf and playgrounds. 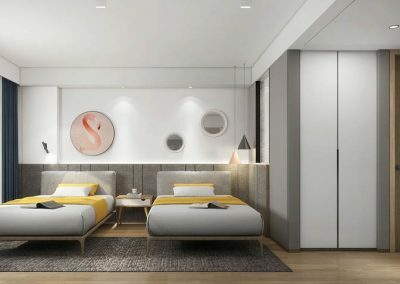 The prices for 30 sq.m. 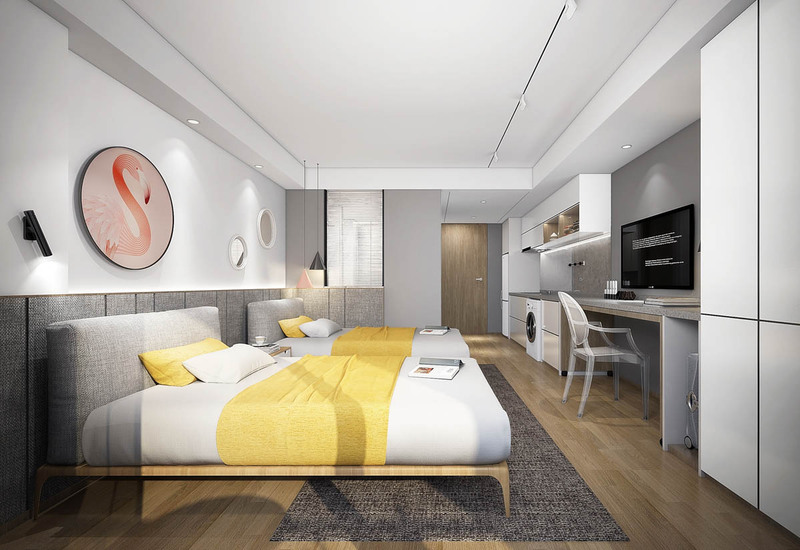 unit which will include full furniture package and decoration starts from 125,000 USD. 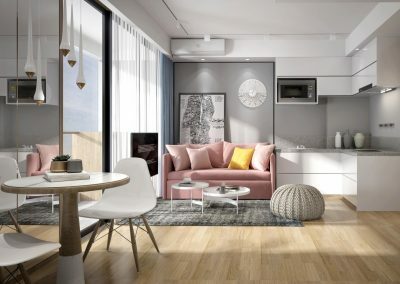 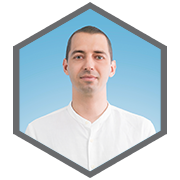 There are two payment plans which have different advantages and Rental Guarantee Return conditions. 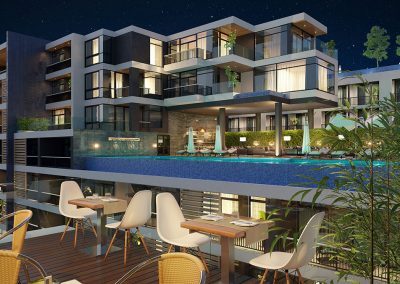 There are freehold and leasehold options and prices which differs for about 10%. 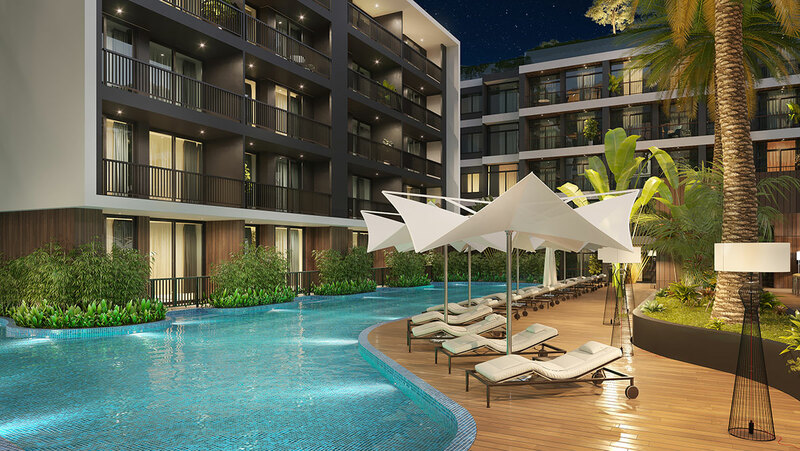 Our rental program for VIP KATA Condominium offers 7% annual income for the buyers for 8 years. 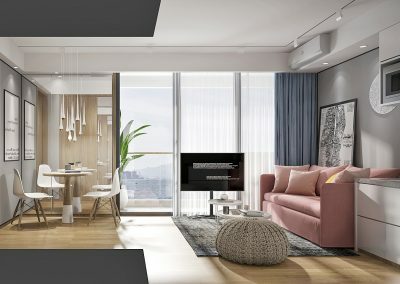 Income calculated from the full selling price which includes furniture package. 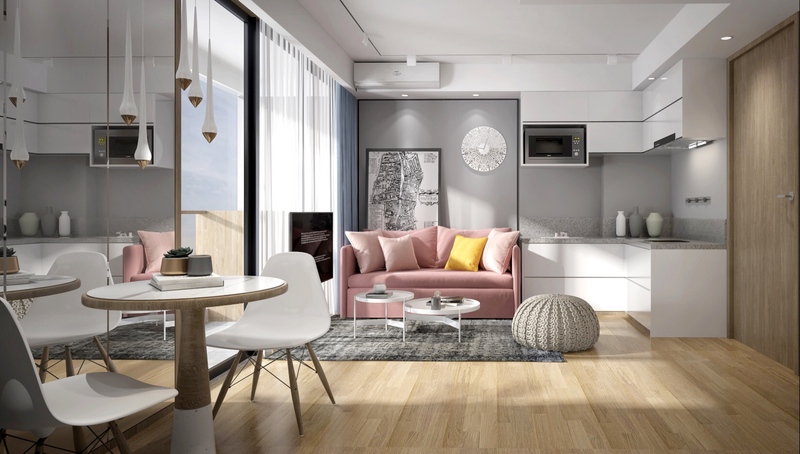 The tax and common area payment will be deducted from the income of each year. 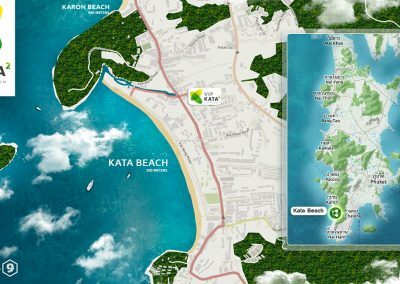 Kata and Karon areas are booming with new developments these years. 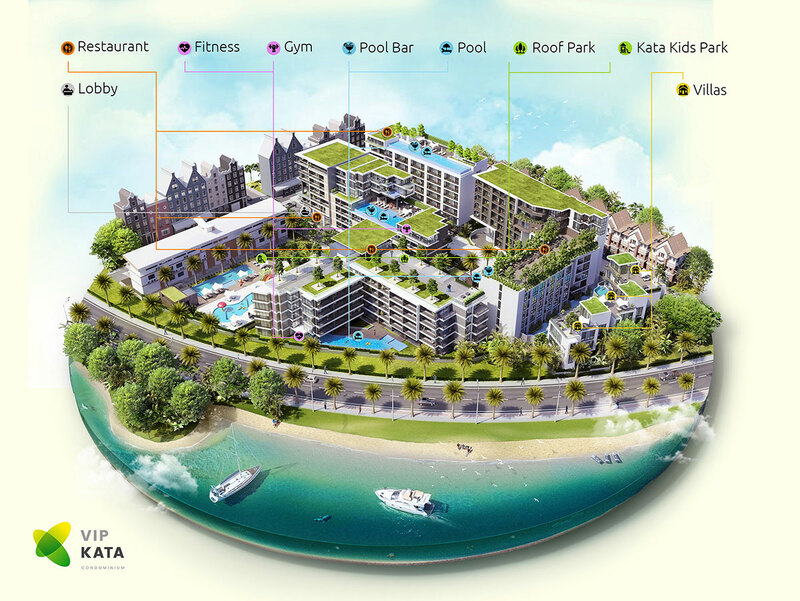 VIP KATA project got one of the best locations in Kata with positive perspectives. 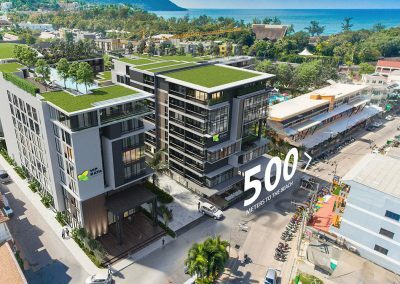 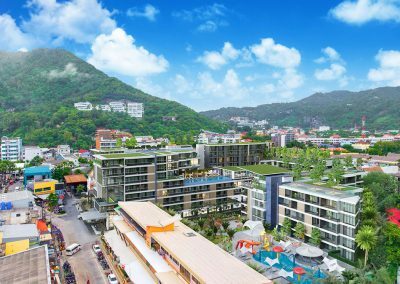 Phuket9 Company continues to invest in the area. 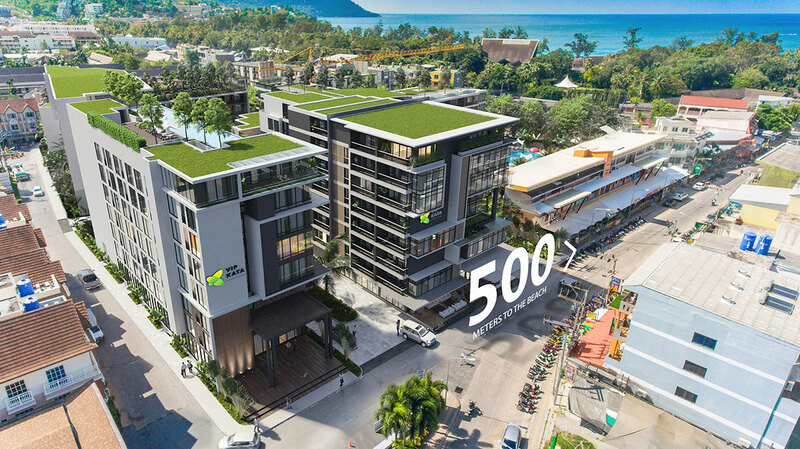 Within 2018-2022 years company plans to launch and manage over 1,000 units in 4 hotels in Kata and Karon districts. 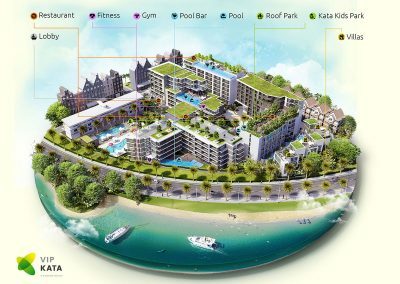 These will include: Grand KATA VIP (2018), VIKATA Family Resort (2020), Karon Kata Boutique Hotel (2019) and Dome Resort and Spa (2021). 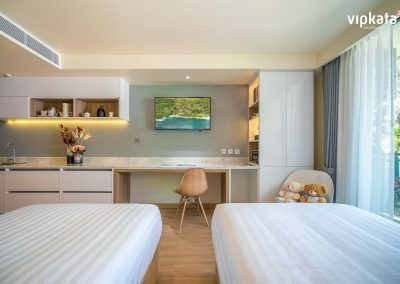 For us it will be a struggle to get all these hotels booked through the year, but our beliefs are coming from Thailand tourism market research, Phuket development and growing of it’s attractiveness and growth of our team experience in management and marketing of investment properties, hotels and resorts.